Springfield Furniture Company founded. A manufacturer of household furniture from its founding until 1942, the corporate charter was later assumed by General Warehouse Corporation, which became Springfield Underground. Jos J. Griesemer Quarry opens. 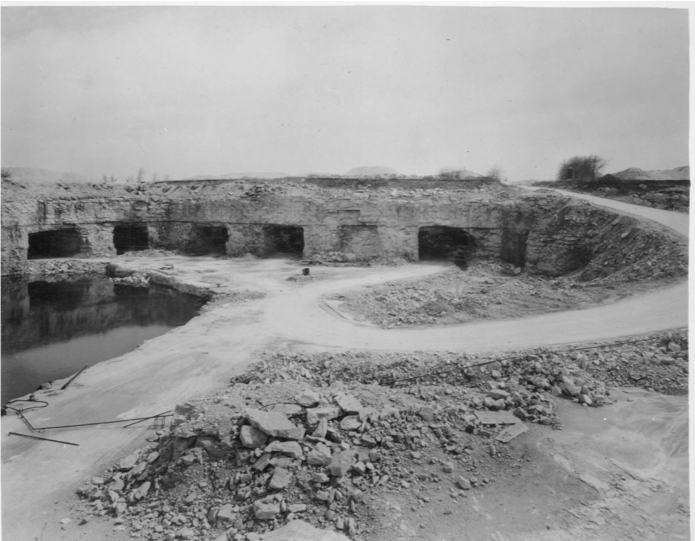 Located northeast of Springfield, Missouri on Historic Route 66 and the Frisco Railroad, the quarry provided crushed limestone to the construction and agricultural markets. The quarry was later rebranded as Griesemer Stone Company. Underground real estate available for rent. Griesemer Stone Company, General Warehouse Corporation, and Security Terminal form a joint venture to create the first 250,000 square-foot underground warehouse. Joplin Stone Company founded. The open pit quarry operation produces agricultural limestone in Joplin, Missouri. Springfield Underground formed. General Warehouse Corporation acquires Security Terminal and Griesemer Stone Company to become Springfield Underground, an underground industrial facility that also provided crushed limestone products until 2015. The Frisco Building acquired. A 150,000 square-foot office building, the office space located at 3253 E. Chestnut Expressway in Springfield, Mo., was named in honor of the original owner: the Frisco Railroad. Cold Zone at Springfield Underground opens. Cold Zone provides third-party logistics for cold and frozen products in a 200,000 square-foot underground warehouse. Westside Stone Company mining commences. The underground mine provides crushed limestone products to the Springfield, Missouri market. Erlen Group launched. As a nod to our founders' ancestrial village in Germany, the family of companies are rebranded to the Erlen Group. Ümlaut Industrial launched. A rail transloading logistics business is launched to add another solution for our customers.